Excellent dining room and bar area. Our bedroom was comfortable and clean. The food was varied, appetising, tasty and plentiful. The bar was well stocked with no restrictions and spacious. We are a family with kids from 4 -14 Hotel is good for all ages entertainment was excellent again food is perfect a variety of everything will definitely be going back. Un deseo ferviente, poder repetir con Vds el próximo año. Gracias por todas las atenciones que han tenido con nosotros. everything was good had a fantastic time. Food great choice would stay again. All very nice, comfortable, location is a little far from the main area and beach. A real pity the stairs had a leak over them and was covered in old towels for our duration. We were warned of this in a previous review and were disappointed this had not yet been repaired. Friendly staff, good food and drinks. We thoughly enjoyed our 4 night break with you. The hotel was warm as it was cold outside and comfortable . We will be back without a doubt . The Animation team were amazing . 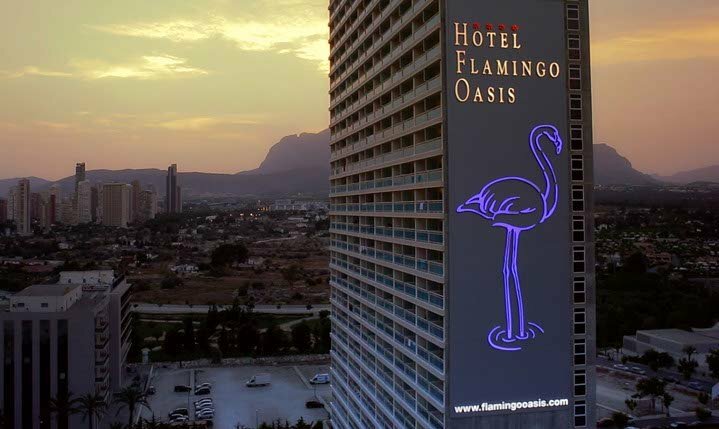 I have stayed at Flamingo Oasis many times and this time brought my brother and sister for a short break. As always staff very friendly and helpful. Animation team very entertaining and welcoming. Food very good and varied. All our party had a great stay thank you.